This statistic presents the social network penetration in the United Kingdom (UK) as of the 3rd and 4th quarter 2017. During this period of time, 66 percent of the population had an active account with any social network. 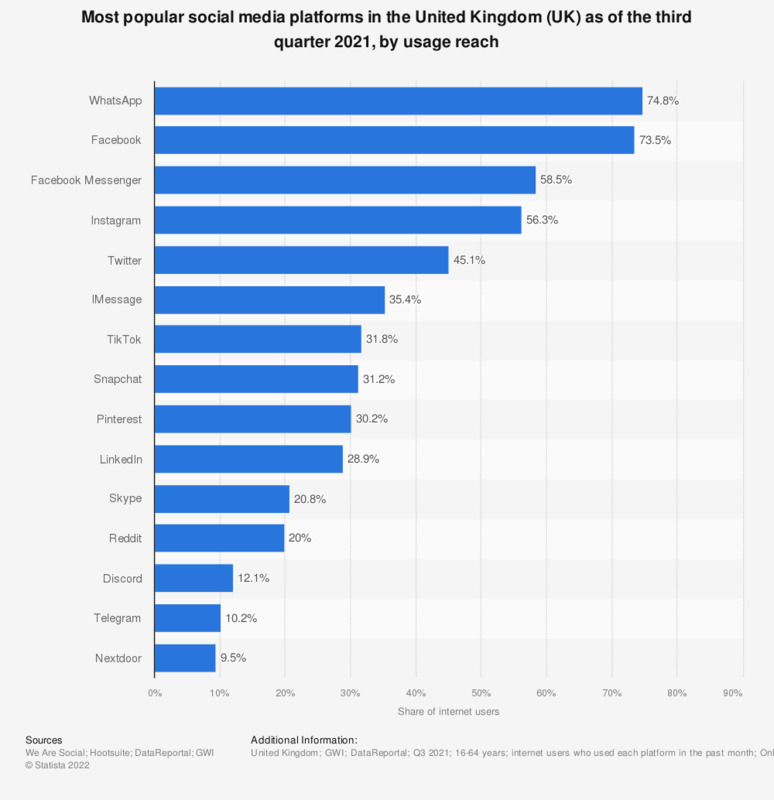 The second most popular social network was Facebook with a 76 percent penetration rate.